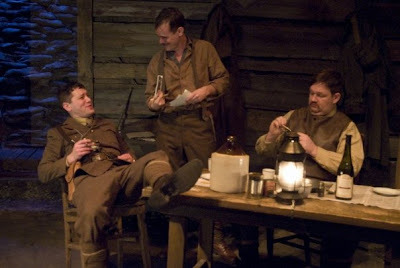 Journey’s End, the show I did last January with Griffin Theatre, has been named as one of the ten best shows of the year by Chicago Tribune theater critic Chris Jones. I am particularly proud of this one, in spite (or perhaps because) of the hideous mustache I wore for two months. Congratulations to everybody involved! Congrats sir, both on the show and the stash! Willy would be proud. Ya know what? The mustache actually looks pretty cool in that setting. I gotta get over to see one of your plays again…the last one I saw you in was a zillion years ago, you were Oberon with sweeet hair. I see these snapshots of you in these plays and you just seem to naturally fit into the setting…like you’re an actor or something.